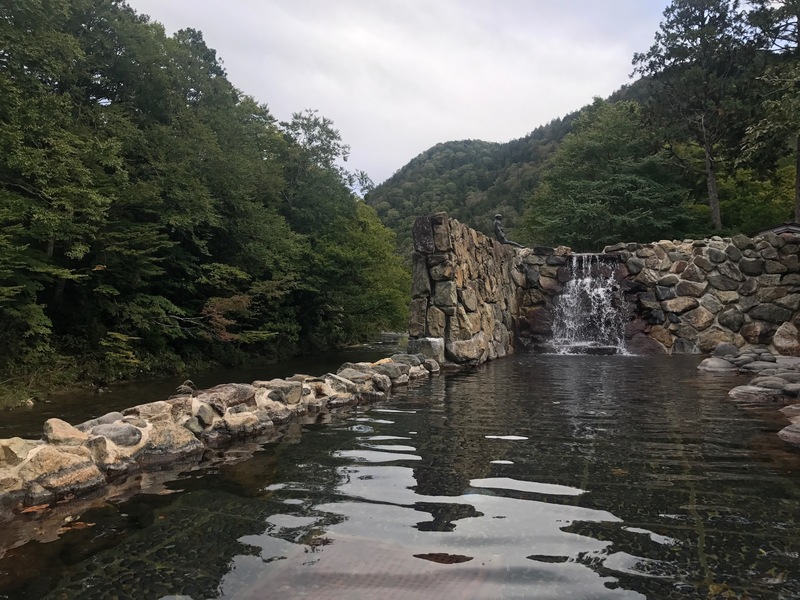 After moving to the Aomori Prefecture a couple months ago, I started taking advantage of the free time I had to see the sights of the more rural and mountainous parts of Japan. Having a car makes it easy to drive on the back roads through farmlands and tiny towns that are scarcely visited and it gives one flexibility to visit areas that aren't as easily accessible by public transportation. The Shimokita Peninsula is the northern-most part of Aomori in the Tohoku region. Because it’s so remote, a lot of attractions are spread out but even the smallest of towns have a lot to offer, from beautiful scenery to traditional festivals, to unique and delicious cuisine. The peninsula is relatively small, so a lot can be done and seen in just a couple days although I recommend a long weekend to take in the sites and to enjoy the food. Here are some of my favorite must-see places. Also known as "Fear Mountain", Osore-san is one of Japan's three most sacred places. It's one of the most spiritual and eerie places I've ever visited. Upon entering the area, there is a very strong smell of sulfur permeating the air because the 'active' volcanic activity. Some areas are roped off because of the unsteady ground and boiling sulfur, but you can easily walk throughout the dreary grounds. The area is sometimes referred to the gate or entrance to the underworld because the grey and rocky grounds resemble Buddhist hell and the white sandy beach on Lake Usori resemble paradise. A word of caution, however, that the lake itself has a high sulfur content and should be avoided. 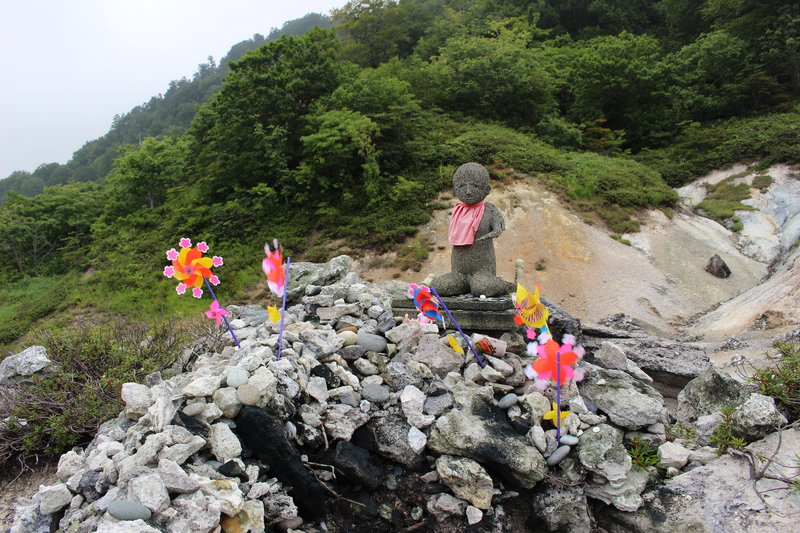 There are hundreds of small piles of stones representing the souls of dead and unborn children along with many statues of Jizo, a deity who protects the dead as they try to find their way into the afterlife. Although gloomy, there are bouts of color with little windmills scattered throughout the site. A short drive from Osore-san is Yagen Valley, known especially for its hiking and hot springs. A couple of the hot springs are named after kappa, or Japanese imps found in folklore, that like to eat small children (or cucumbers, if offered)! The kappa are depicted throughout the onsens, always acting a bit naughty and playful. There are two notable baths within the inner Yagen Valley. Both face the river and offer relaxing views. One of the baths is segregated while the other offers different times for men and women. The northernmost tip of Honshu Island! You can sometimes see the southern part of Hokkaido, specifically Hakodate, if the weather is nice and you can even take an hour-long ferry to Hakodate from the cape. There are plenty of souvenir shops and little restaurants with very fresh seafood. Oma is well known for its maguro (tuna) and it has some of the highest quality tuna in all of Japan...as in it’s melt-in-your-mouth good. You can easily find a delicious maguro bowl at any of the little restaurants on the Cape. A short drive from Oma along the coastline leads you to the scenic views of Hotokegaura. 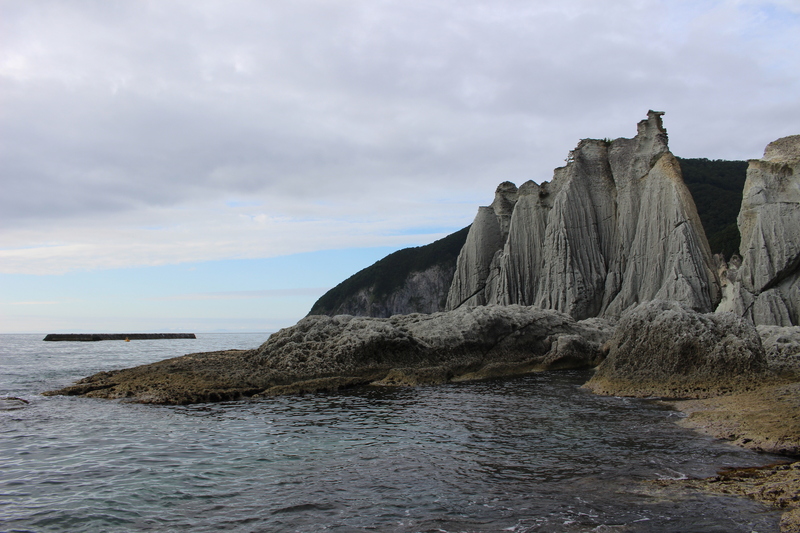 Designated as a Natural Monument, the cliffs of Hotokegaura can either be seen from a distance or, if you’re up for a short hike, up close on the shore of Mutsu Bay. The cliffs get their unusual shape due to thousands of years of erosion by the elements. At the northeastern most point of the peninsula, a lone lighthouse stands at Cape Shiriyazaki. 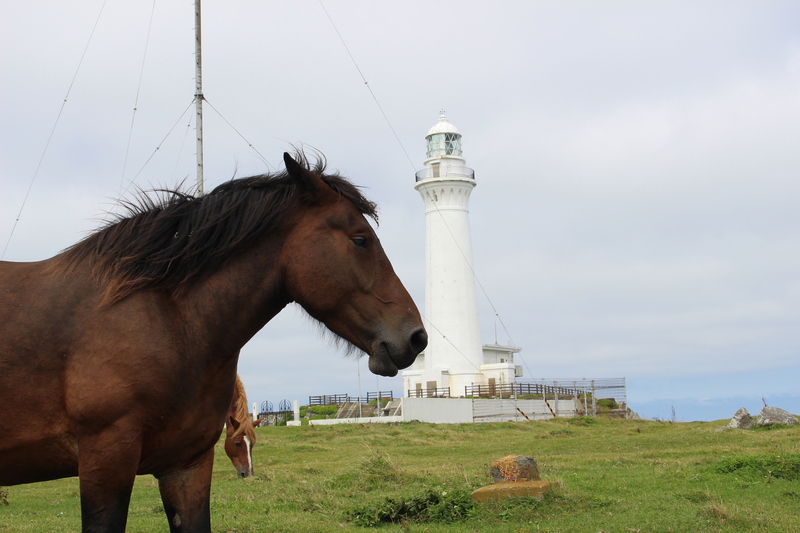 It’s a little bit of a drive from Mutsu, but it’s worth seeing not just the historic lighthouse and the beautiful coastal view of the Pacific, but to also see the wild horses. The cape is known for the Kandachime horses and it’s a sanctuary of sorts for these massive beasts. While they're likely used to many visitors taking their pictures and some of them seemed very friendly, you’ll want to keep your distance since they’re still wild animals. These horses are known for withstanding the cold winter months of northern Japan, which is how they got their name. *All photos are my own. Aomori - More than just apples!